CONTACT US TO BOOK YOUR CRUISE TODAY! *FREE Stateroom Location Upgrade applies to booking the stateroom location you wish to sail in for the price of the lowest category within that stateroom type (Interior to Interior, Oceanview to Oceanview, Balcony to Balcony). Upgrade offer excludes select categories, including, but not limited to, premium categories and suites. Offer does not apply to the land portion of a cruisetour. **FREE Gratuities do not include gratuities added to bar charges, dining room wine accounts or Lotus Spa services. Gratuities are not transferable, non-refundable, and have no cash value. 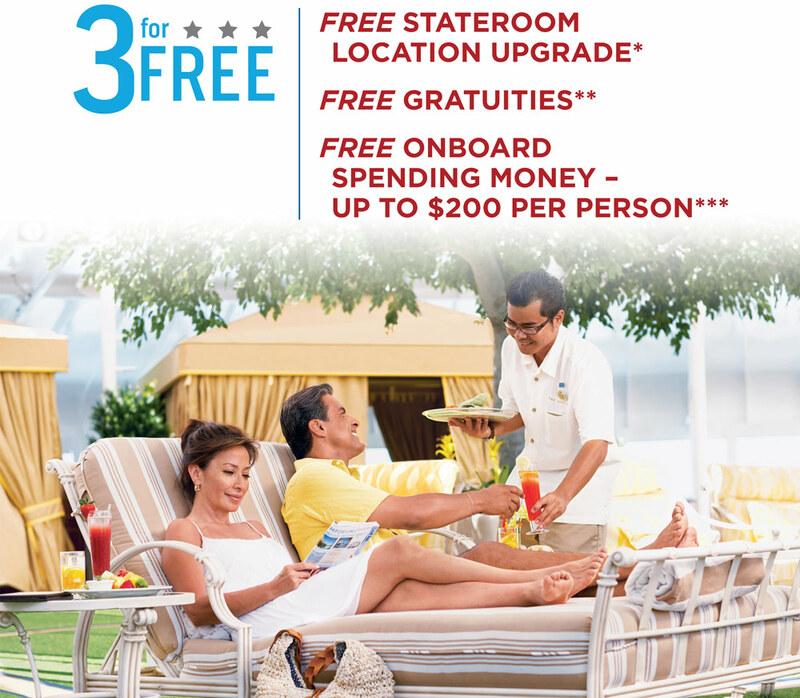 ***FREE Onboard Spending Money offer is applicable to all guests (up to 4) in a stateroom. Guests with single occupancy will receive double the per guest credit amount. Spending money may be used on a single voyage only, is not redeemable for cash, and cannot be used in the casino and expires at the end of that voyage. ****Total value of coupons combined is over $750 USD. Coupon book offers are based on current Shipwide Savings booklet, which is subject to change. One coupon book is provided per person, up to two maximum per stateroom. *****Reduced deposit of $100 applicable for cruises between 7-44 days, and applies to new bookings only. 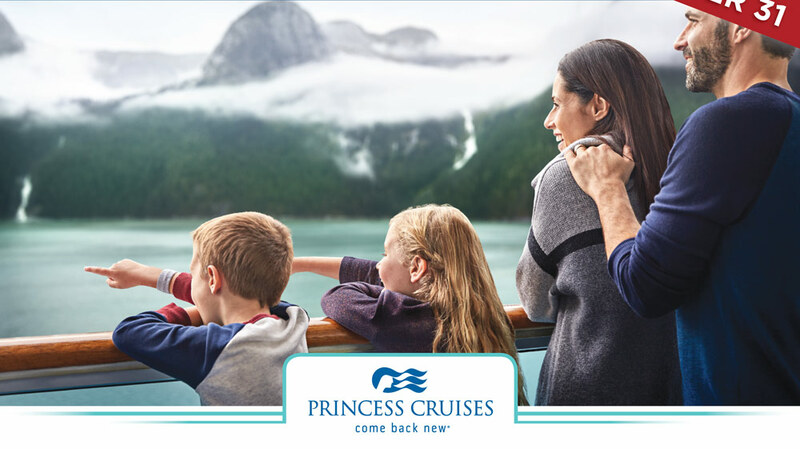 Reduced deposit applies to each of the first two passengers in a stateroom and does not apply to the World Cruises and voyages 45 days or longer. Valid for new bookings made before 11/5/18. Additional restrictions may apply.